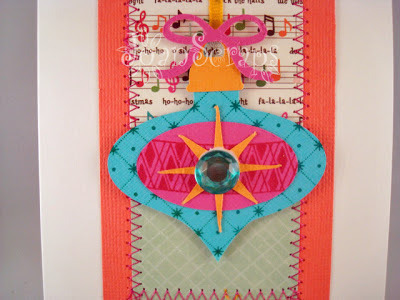 This is my take on today's blog hop at Paper Trey's. This month they challenged us to use non-traditional colors for our Christmas cards. I kind of picked the color combo in the image below adding some yellow and coral. They have some great color combos in Today's post. Go check the out, really outside the box. I cut the ornament using my digital cutter and Make the cut. It is stamped with the background Twinkle Stamp set and one of the images from the Vintage Ornaments collection. 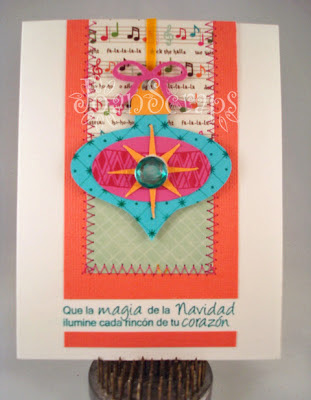 The sentiment is from Latina Crafter. 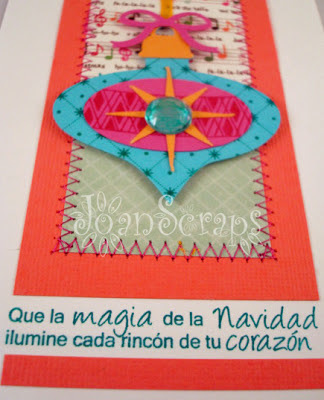 I decided to make my card is Spanish since I am preparing cards for the holiday season and I need some of them to be in Spanish. The rhinestone was clear and I painted it with a Copic. Thanks for the visit. Hope you have a great day!! oooh, what a fun card! Lovely ornament on your lovely card. Que Bonita! Good choices on the extra colors. Made the card a standout! 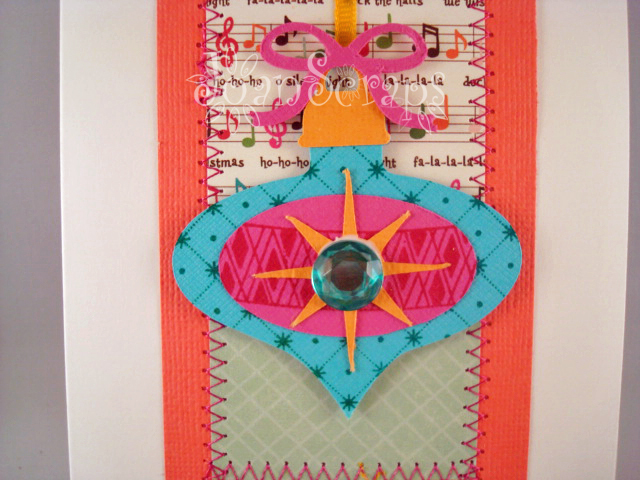 Bright, fun & energetic card - beautifully executed!